This is the second time that the Obama administration talks about the disappearance of 43 students in the state of Guerrero. 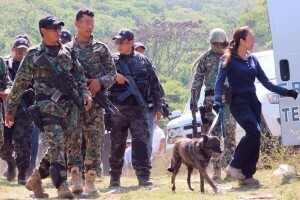 The White House said it was concerned about the reports related to the disappearance of 43 students in the state of Guerrero. “The reports about the situation (in the state of Guerrero) are worrisome,” said Josh Earnest, White House Press Secretary, at yesterday’s press conference. On October 7, Jen Psaki, spokesperson for the United States Department of State, said that the case “is a crime that demands a clear and transparent investigation” and that the perpetrators should be brought to justice. 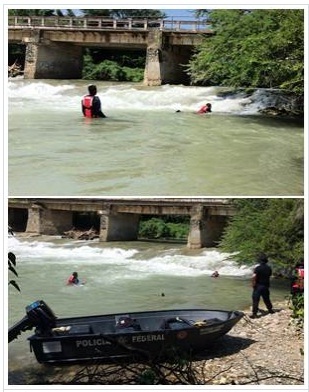 Mexico’s National Gendarmerie and Federal Police officers search for the 43 missing students of Ayotzinapa teachers college at Cocula river. Yesterday corpses were found at Cocula trash dump after information provided by a criminal arrested as part of the investigations. A total of 56 people, among them 36 policemen, have been arrested in connection with the case. The 43 students of Ayotzinapa teachers college are missing since September 26.